Chennai: The wife of former AIADMK MP, Kulandaivelu, was found murdered at her residence in Besant Nagar here on Sunday night. Police suspect her 35-year-old son, Praveen's hand in the murder, as the deceased had made distress calls to her daughter minutes before the murder. 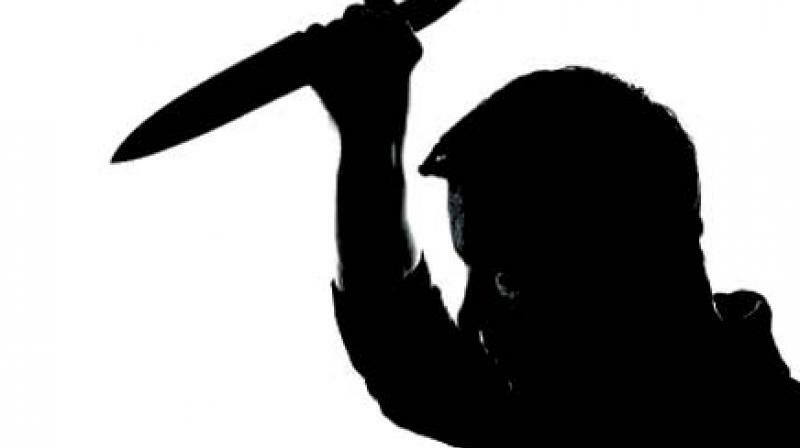 Police said, the victim Rathinam (63), had made a call to her 43-year-old daughter Sudha, who is a doctor in Tirupur, before the murder alleging that her son was demanding a share in the property and wanted to kill her. However, before her daughter could tell her to take refuge in a relative's house nearby, the phone call got disconnected. Police said Praveen, who is educated in the UK, was extremely brutal in killing his mother. He had attempted to electrocute her by tying her hands and legs, gagging and stabbing her 10 times in the chest. Sources said that for almost a month, the deceased was with Sudha in Tirupur and had returned to the city only on Sunday. It is believed that she was at loggerheads with her son, who came to Chennai from London a month ago, as he pestered her to sell the family's properties in Besant Nagar and Salem. When a relative, residing in Thoraipakkam, paid the victim a visit after being informed by Sudha, she found blood stains on the door and the door locked from outside. Soon, the police were called by neighbours who had been alerted by the relative. They found the victim in a pool of blood. A hunt is on for Praveen who is absconding. Kulaindavelu was an MP from Tiruchengode constituency in 1991.